This measurement is only accurate if you haven’t stretched it around your head yet. It should be stretchy enough to stretch several inches. Note: the patterns is worked using a tapestry crochet technique. To make sure your color changes are neat, you need to finished the last stitch with the next color. Since this is worked all in dc stitches, you will work a dc until you have the last 2 loops on your hook. Drop your yarn, yarn over a loop on your hook using the next color you plan on using, pull it through both loops. The dc will look like a finished dc with a different color loop to start the next stitch. Be sure to carry your main color (gray) through the whole hat. You can drop the other colors. Keep the gray slightly tight, so it doesn’t show through. 1. Ch 1. Sc 72 all around the top of the band. Work about 3 sts over a 2 hdc row space. Now you have the starting point for your heart. To work the rest of the pattern, work a dc in each stitch around, using the graph as a pattern for your color changes. 2 dc will equal one square on the graph. I found it was easies to have two back bobbins, to go up the sides without carrying the yarn back and forth. For the red, I only used one bobbin. However, when I stretched it over from the left to the right for the next row, I worked it inside the stitch (the same way you would carry the yarn), so there weren’t many strings loose in the back. Close the hat by threading a length of yarn on your darning needle. Turn your hat inside-out. Sewing a running stitching in and out through the remains stitches. Pull both ends and cinch the hole tight. Tie a firm and sturdy knot. You can leave it without a pom pom or add one. I got your opinions on Instagram about it, it was mostly yay to the pom-pom, but a few of you liked it without, so I though I would included a photo of it both ways. SO cute. Be sure to share your beautiful version in the group! 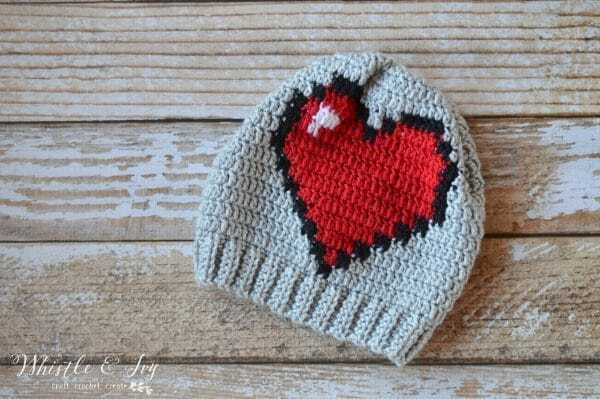 Like this Crochet 8-Bit Heart Slouchy? Subscribe! The graph would be too large for a toddler size, I think. It would be REALLY slouchy. Do you have a version for children? I don’t, I am sorry! It might work if you made with graph in sc instead of dc. One block would be one sc instead of one block being 2 dc. Hello first I want to say thank you for such a lovely pattern. 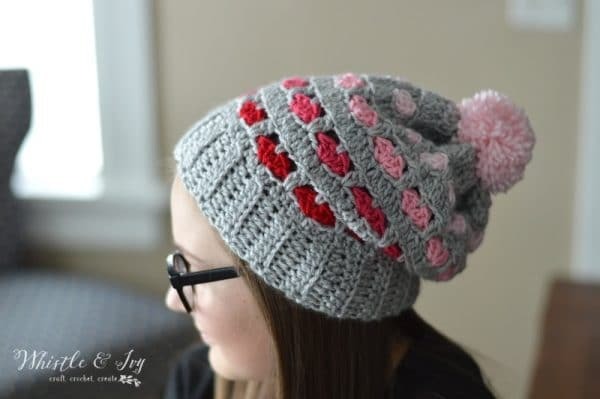 I wanted to know if there is a way to work this pattern from the top down, as I prefer to do so and I would like a different band on the hat. Yes! You would make the beginning your hat, then when are past the increases, work the graph upside-down. I am not sure how long it would be, you will have to experiment a bit there, but working the graph upside down would definitely work for top down. 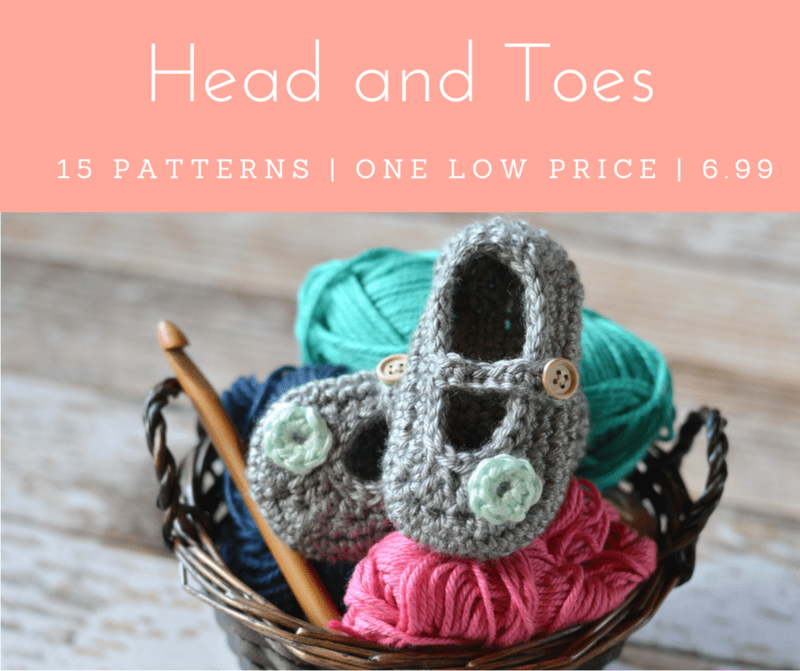 Gorgeous and fun pattern ! Could you lead me to how I can make a kid or toddler size ? Where can I find the fur Pom poms? It’s just a help for spacing out the sc stitches across the band. Work about 3 sts in the width space of 2 hdc rows. Does that make sense? I don’t, but I would love to help you! Do you have specific questions I can answer? LastNovember I was using your instructions for crochet the nativity. About the same time I received from you the instructions for the little crocheted clutch purses. I want to teach my granddaughter to make the most but can’t find the email from you! Can you resend it to me? 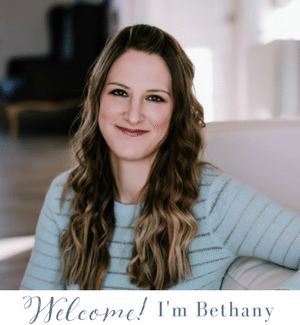 Are you on my email list? The link and password are included in every email I send. Hi this is my first time doing a graph and i am so so confused lol. How many gray stitches do i need per row, do i just do 2, less, 4 less exc? Then on the graph part is 2 double crochets per stitch? Lol sure im over thinking this big time! Lol thanks for your help!! Great hat, I have never worked with several colors at once, this hat might be good project to start! Thanks! I hope you enjoy making it! I love this pattern, so cute. I had to frog the first try, it came out huge. I went down to a G hook and its much more to size. Anyone else have that problem? Thanks for sharing. Love this! The little light spot on the heart really makes it. 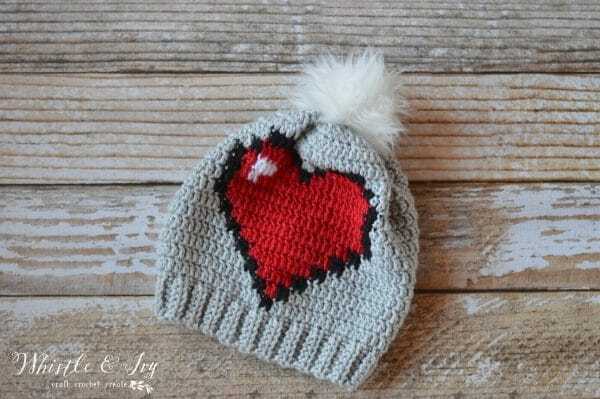 Such a cute hat! 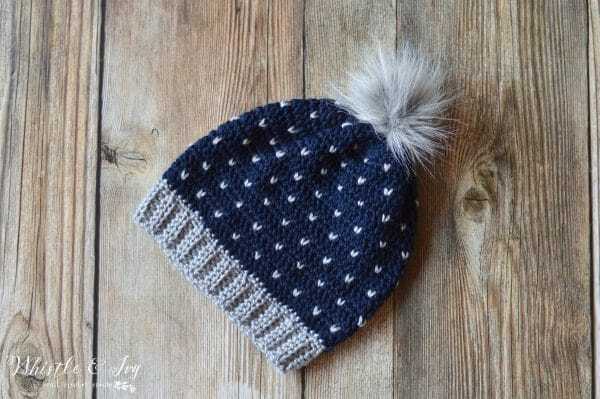 Love the pom-pom on the top! Thanks for sharing your talent at Funtastic Friday! Hi Bethany! 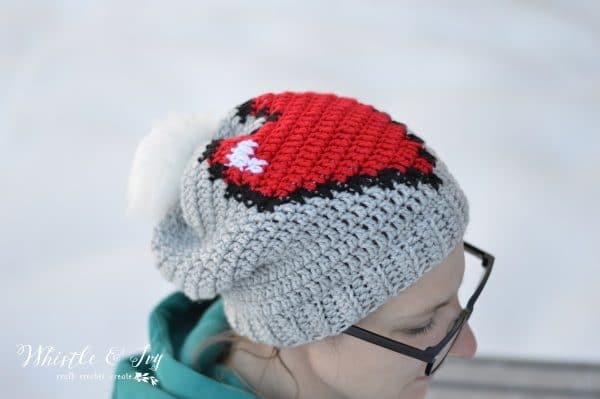 I love this hat pattern! Girly, but not too girly. :) I hope you can answer one question for me. I’m getting confused when you talk about stretching the red yarn from left to right. What d you mean by working in inside the stitch? Do you carry the red through the grey DCs? I’ve never done tapestry crochet before but I understand the concept. Your photo of your bobbins is very helpful. Thanks Megan! So when you are working the red, and because it’s in the round, you will work several stitches and drop the yarn. When you come back around, it will still be at the far end where you dropped it. 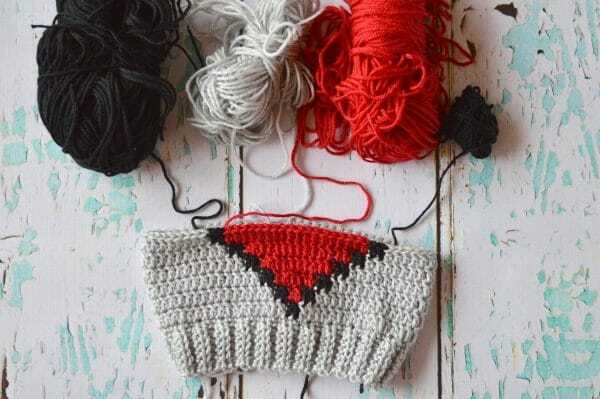 I was saying that I grab it and pull it over, leaving a end coming across behind, but then when I am working back across, I “carry” the red yarn end, as well as the gray. Does that make sense? I plan on making a video, soon, so that will be helpful for you too. Oh!! I get it now. That makes total sense. Thanks so much! Oh good! You are welcome! Hi there! Just wondering if you ever made a video of carrying the red yarn over? That’s the only part I can’t quite understand. All the rest is great and I love this pattern so much. Thank you for sharing! I haven’t! Can I offer help? When switching colors for the first time on each row the black looks off, like it is stretched out. The end of the heart rows look how they are supposed to. What might I be doing wrong ? thanks! Hm. I am not sure. It’s hard to picture it. Do you want to send me a photo on FB? Yes. One dc is worked in each stitch. I don’t crochet but I can say that is seriously fantastic! Thanks. Do I still do 2 dc for the heart or does that change? Yes, you would still do 2 dc so the colors look like squares. 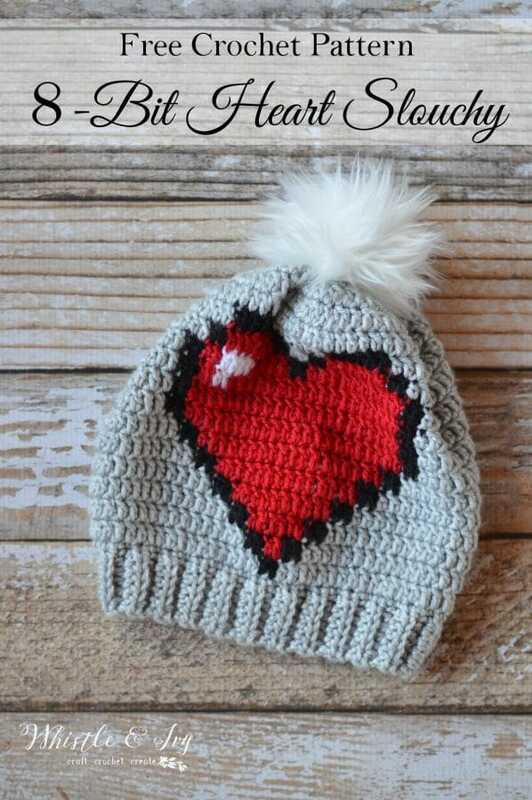 Approximately how many grey dc stitches do I do around the hat before switching in the front back to the heart, if that makes sense? Also, is there a way to do decreases all the way up to the top of the hat? You’re so talented! Thank you. Hello! Thank you! It depends on which row you are working. I thought it would be easiest to just have the graph. Which row are you wondering about and I can grab my hat and count. Yes, If you want to completely close it, you can keep working decreases. I prefer the look of the cinch, but you can definitely do that instead! Thanks for the response. I actually haven’t started it yet, just prepping. Is there a rule of thumb on how to decrease if I choose that route?Thanks! Just working dc2tog stitches. You can work it the same way as the plaid hat I showed you, and cinching the hole closed. I can never get these patterns to print! What am I doing wrong? HELP! I end up having to copy & paste into Word. I don’t have a PDF yet, sorry! I absolutely LOVE your hat and cannot wait to get started on my own!!! Thank you for sharing!!! I’m not understanding the stitch count here. Please help! Thanks for pointing that out, I am sorry! You will be working dc2tog all around. I just love this. 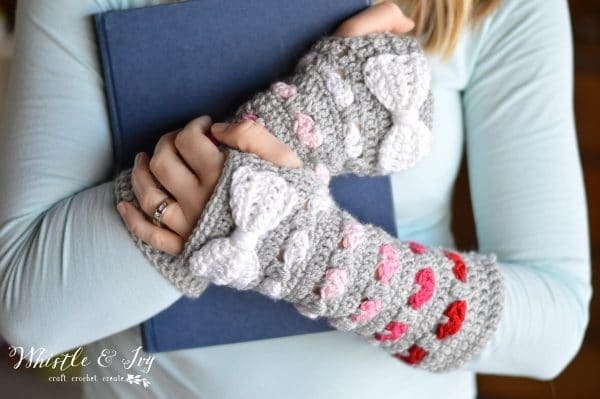 Going to make matching ones for my girls! 1 and 5! And maybe myself too! Oh..I really love this pattern! 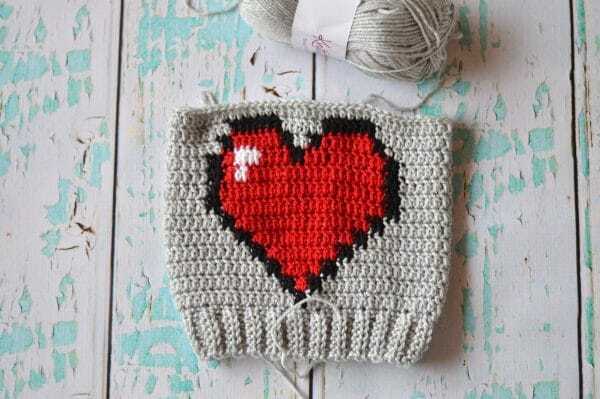 Maybe it is a little bit difficult for me, as a not expert, but definitely I would like to crochet it. 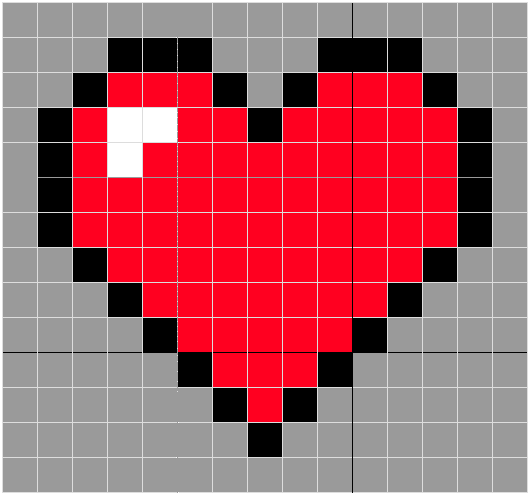 This 8-bit heart has a pretty bold look which remembers me the subjects in the video games I used to play when I was a young girl. Good memories…Thanks for sharing! Right?! Me too! Video games were so fun when we were little, no save function and all!